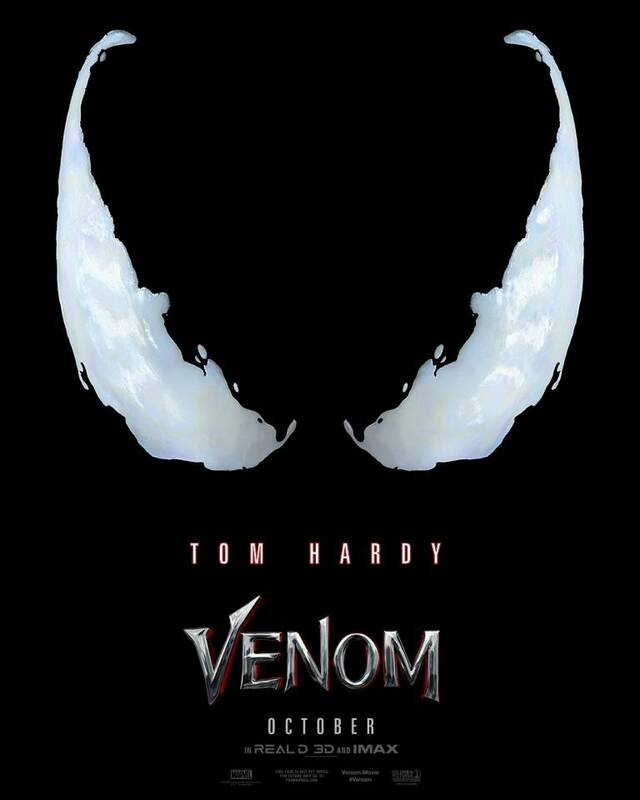 Sony pictures have dropped a teaser poster for the horror centric Spider-Man spin off 'Venom.' The film is being directed by Ruben Fleischerand and stars Tom Hardy as Eddie Brock / Venom, alongside Michelle Williams and Riz Ahmed. The film is not part of the MCU but there are rumours Tom Hollands Peter Parker will make a cameo, so who knows? 'Venom' is set to be released on October 5, 2018.